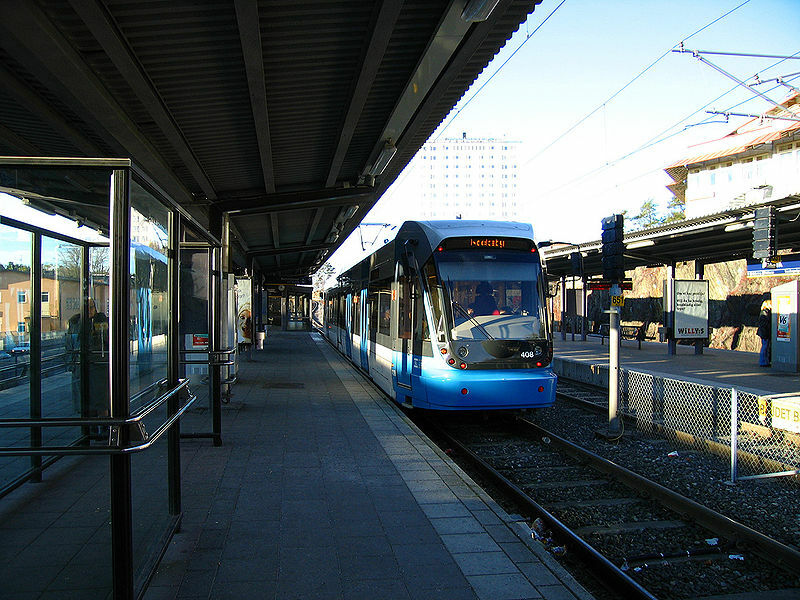 The system after the prolongation of tram line 22 to Solna station on 18 Aug. 2014 and the prolongation of tram line 7 to T-Centralen on 3 Sept. 2018. 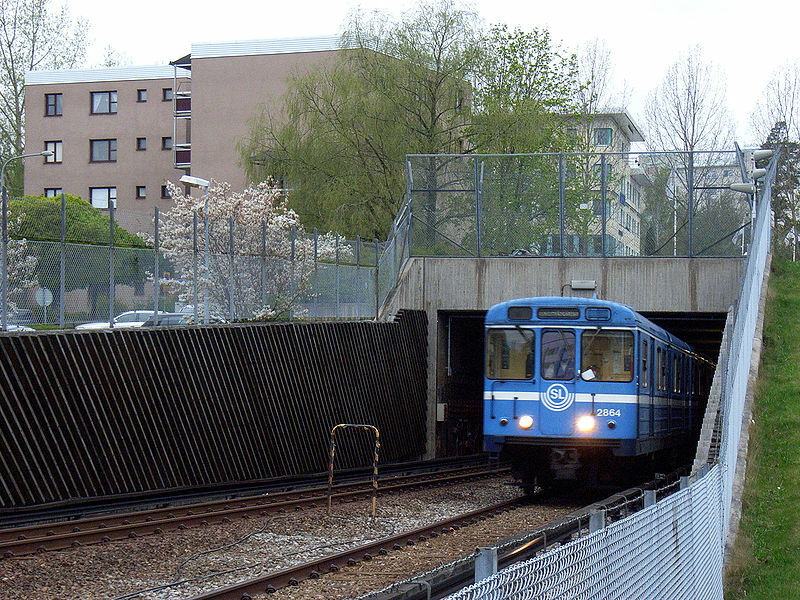 Lidingöbanan, Nockebybanan, Tvärbanan and Saltsjöbanan are operated by Veolia Transport. 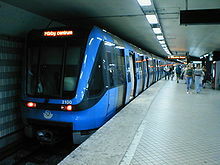 The T-bana system is operated by Hong Kong based MTR Corporation. 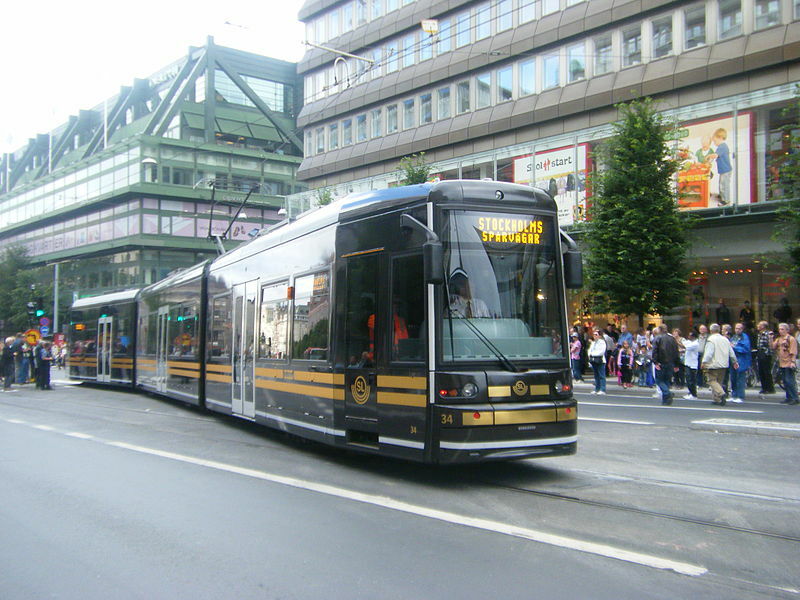 Since 21 Aug. 2013, the Djurgårdslinjen (Line 7) is a regular tram line operated by AB Stockholms Spårvägar, while heritage trams are still operated over most of the line, entirely on a volunteer basis, by the Svenska Spårvägssällskapet. Urban tramways: (horse-drawn) 1877 - ? ; (electric): 5 Sept. 1901 - today. 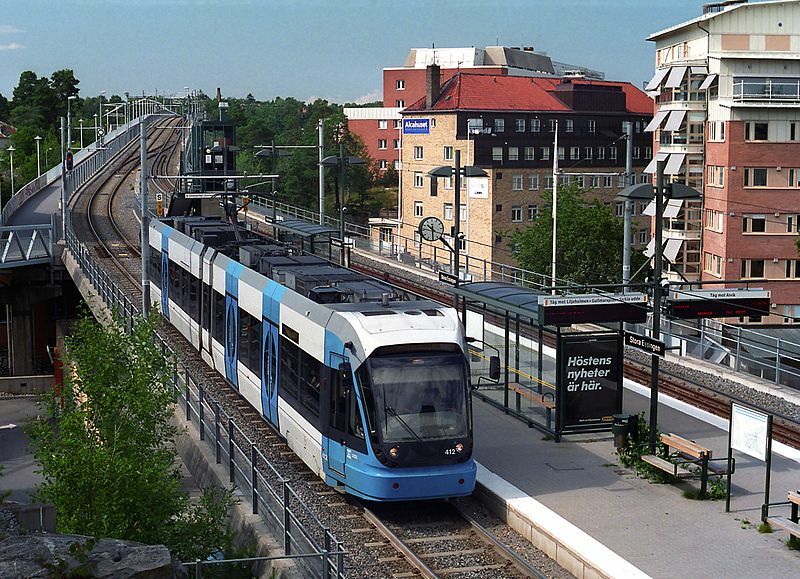 Lidingöbanan (electric): 1907 - today. 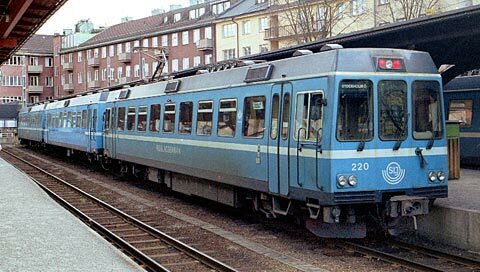 Saltsjöbanan: (steam) 1 July 1893 - 1913; (electric) 1913 - today. 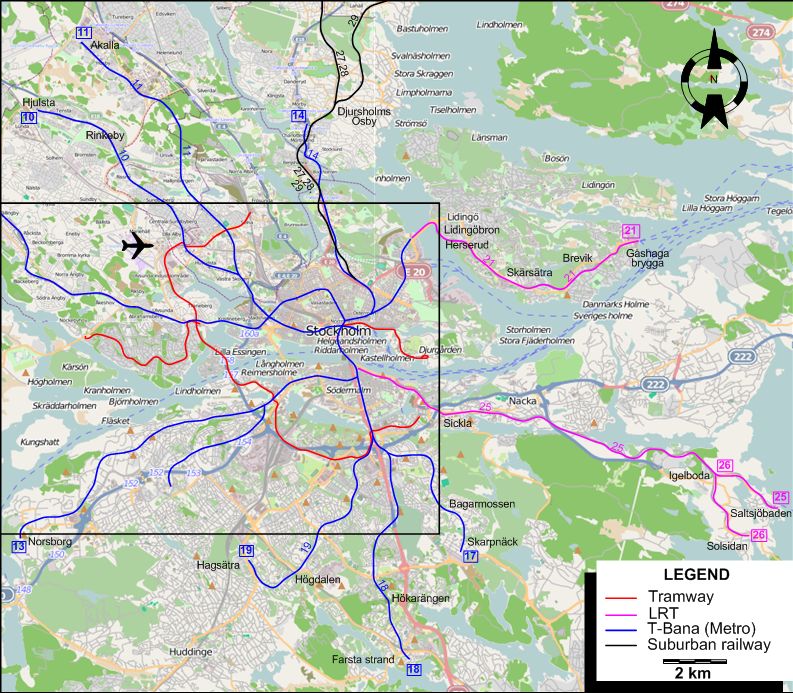 T-Bana (Underground): 1 Oct. 1950 - today. 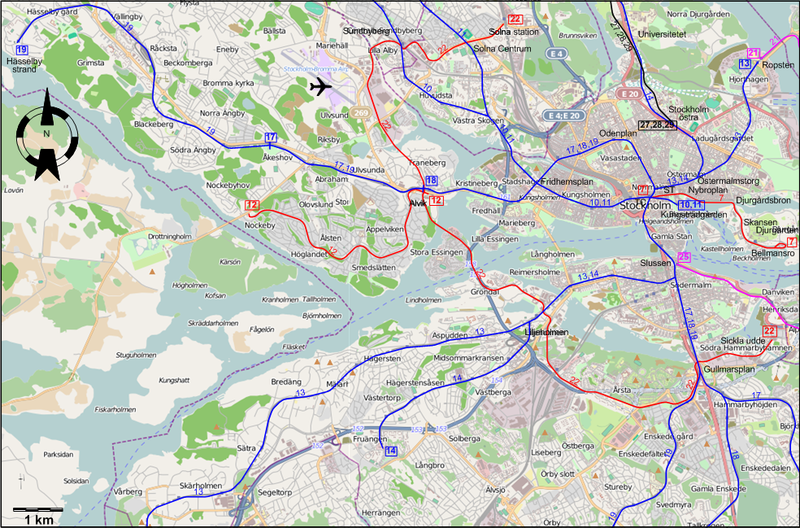 Roslagsbanan: 1885 - today. (Electrified (in part): 1892, (completely): 1895). Groves, J.P. "Tolvan - 12", Modern Tramway & Light Railway Review, Feb. 1968 (31:362), p.51-53. Price, J.H. 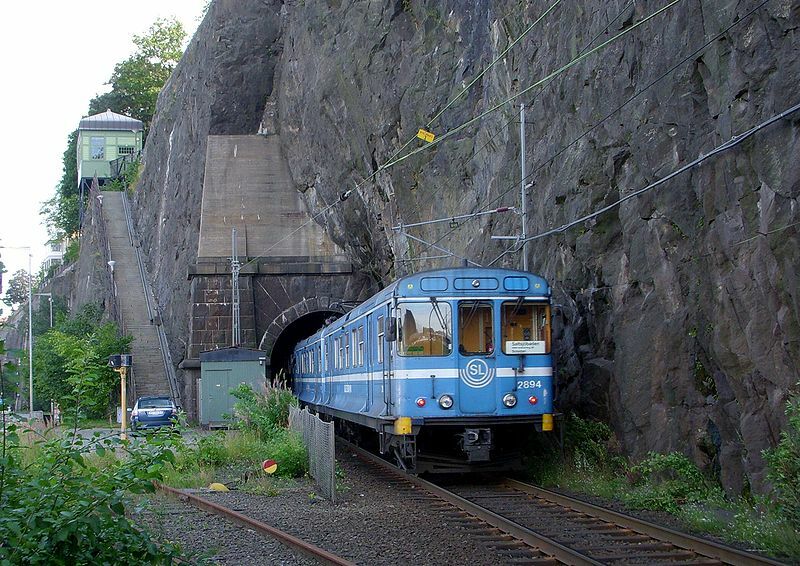 "Heritage Column" [The Djurgården tramway], Modern Tramway & Light Railway Transit, July. 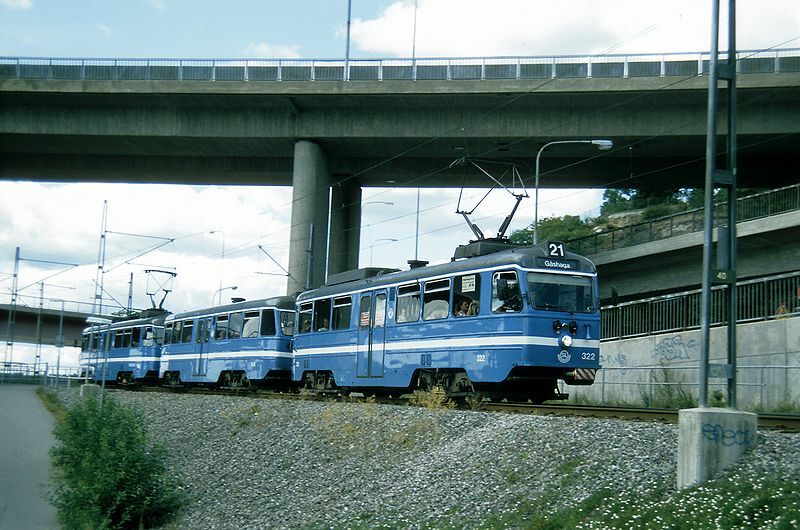 1991 (54:643), p.226-228. 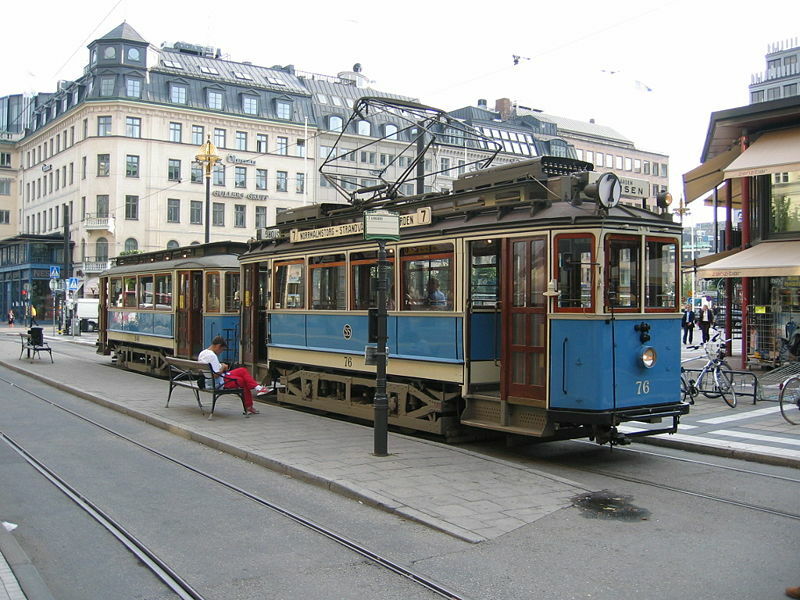 Pulling, N. "Systems Factfile: No.24 - Stockholm, Sweden", Tramways & Urban Transit, Sept. 2009 (72: 861), p.347-350.